You are cordially invited on behalf of the Financial Policy Council’s Board of Directors, to our next Financial Policy Council private briefing with a panel of 4 expert speakers discussing the global state of healthcare and the reasons why it makes sense to fix US healthcare now! Everyone knows that global healthcare systems are dinosaurs. The problem is that most people do not understand how the systems work in order to effect change. On July 14th, experts from healthcare, medicine, and medical tourism will come together for an explosive panel discussion uncovering where healthcare has gone wrong and how to put the power back in the hands of the consumers. Christopher Fey is an experienced health care executive with more than three decades in managed care, clinical diagnostics and preventive medicine. As a management consultant, Mr. Fey assisted in the development of HMOs for U.S. HealthCare, Lincoln National Life Insurance, as well as Blue Cross and Blue Shield in markets such as Baltimore/Washington, D.C., Florida, New Jersey, New York, Boston, Chicago and St. Louis. Following these major market launches, Mr. Fey founded his own multi-state managed care company, HealthCare USA, which grew to a $150 million business in less than three years. HealthCare USA has generated more than five billion dollars in revenue since its founding. The Company was also ranked #1 in Quality in the State of Florida outranking 28 other established HMOs at the time. HealthCare USA was acquired by publicly-held Coventry Health Care where, as Corporate Senior Vice President, he led Coventry’s sales and marketing efforts nationwide. Coventry Health Care was acquired by Aetna. Mr. Fey is the founder of U.S. Preventive Medicine, Inc. and its core products, The Prevention Plan and the Macaw mobile personal health management application, which won the Consumer Electronic Show for best mobile app in 2012, as well as the CTIA (Cellular Telecommunications Industry Association) Award for Health and Fitness and the NIH 2012 “Frankie” award for diabetes management. Mr. Fey also founded U.K. Preventive Medicine, Ltd.
As a member of the Wall Street Journal CEO Council, a select organization of 100 CEOs from across the U.S. and internationally, Mr. Fey participated in its yearly roundtable conference which presented its annual business priorities list to the White House. 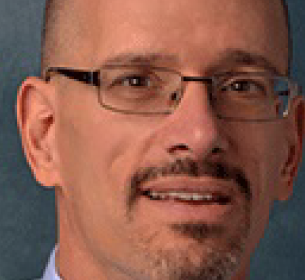 He has also traveled extensively to discuss population health management and prevention efforts and opportunities with business, health care and government leaders across the U.S., Europe, United Arab Emirates, China, Malaysia and Singapore. Mr. Fey is the founder, chairman & CEO and director of Big Bang Health, Inc., a connected network of health care providers serving the self-funded employer market, as well as co-founder and chairman of Blood Tests at Home, Inc., a national home or work diagnostics company. 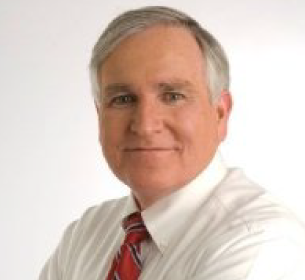 He is also the founder and managing partner of Eagle Strategy Partners, LLC. Mr. Fey is a graduate of the University of Florida. 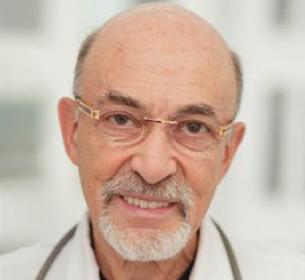 Dr. Lev J. Paukman is known as a highly acclaimed and respected physician at a number of prestigious New York City hospitals and the Tri-State area and is a global activist on philanthropic issues. Dr. Paukman began his career in Russia where he completed medical school and also got his PhD degree from Saratov Medical University. 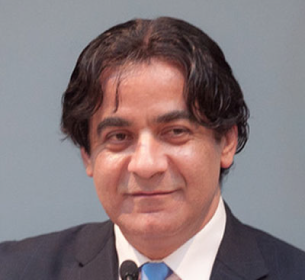 His medical training continued in the United States with both a Residency in Internal Medicine and a Fellowship in Cardiology at Mount Sinai Hospital. With over forty years of clinical experience and having treated nearly 17,000 patients Dr.Paukman’s expertise includes Internal Medicine, Cardiology, as well as drug addiction therapy and rehabilitation. Dr. Paukman also brings the concept of alternative/preventive anti-aging medicine and holistic wellness to his patients. Dr. Paukman is Executive Director of the Paukman Medical Plaza; a multi-specialty medical facility and of the Vitamore Medical Center. He is also a Board Member of Finding the Cure, Inc. Through his career Dr. Paukman has received numerous professional appointments and prestigious public credits as his research has been published in major medical publications. He has been participating in multiple conferences and symposiums for Anti-Aging medicine and is a member of the American Academy of Anti-Aging Medicine dedicated to enhancing the quality and extending the length of Human Lifespan. Renowned for his personal generosity and compassion to those less fortunate Dr.Paukman has received numerous awards for his relentless philanthropic activities and communal involvement. He is committed public servant, who works tirelessly on behalf of the Ethnic Russian Community. He also has been an active political liaison to the Russian community with strong ties to Former Governor Pataki, Mayor Giuliani, Senator D’Amato and Mayor Bloomberg. Adam Henick has spent 35 years in the New York metropolitan area investing, developing and operating ambulatory care enterprises. He has served in senior managerial roles at Montefiore Medical Center, Mount Sinai Health System, Continuum Health Partners, and Saint Barnabas Health. In addition to sitting on several boards, he has lectured and written articles on a wide variety of health care topics. Currently he serves as the Chief Operating Officer of AdvantageCare Physicians, a 500 member multi-specialty group. He has both an MBA and MPH from Columbia University and a BS from Hunter College. 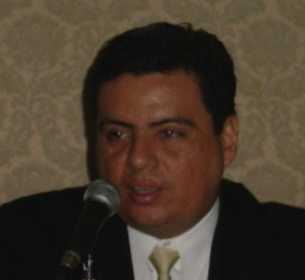 Marco Castro is the Economic, Trade, and Tourism Counselor for El Salvador in New York as part of the Ministry of Foreign Affairs. He is a specialist in international trade and has worked with the private sector as well as international agencies such as world bank, inter-american development bank, European Union, GIZ (German cooperation), etc. Throughout of his career he has worked in more than 20 countries in America, Europe, and Asia, implementing competitiveness and local economic development projects, with a special focus in international value chains, clusters and regional integration between countries of Central America.